Pro Trucker Stainless Steel Medium Duty CB Radio Antenna Springs, 3/8 X 24 Antenna Threads. 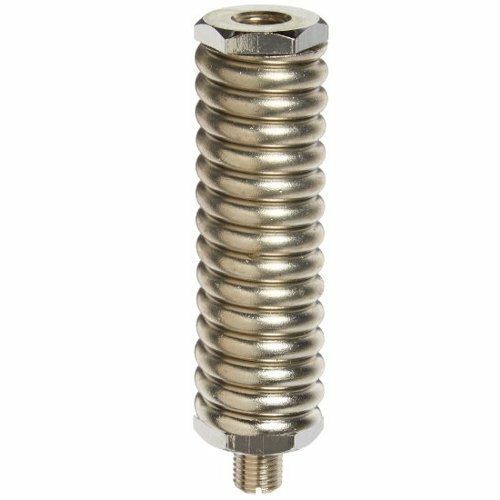 These springs are made from electro-polished stainless steel which is great for rust prevention! Upper and lower inserts are made of chrome-plated machine brass. These are some of the highest rated springs sold in the market and we are sure you will be satisfied! Works especially well with 2ft "KW" & "FS" series antennas as well as the 3ft "FL" or "RP" (lighter weight) antennas. If you have any questions about this product by Pro Trucker, contact us by completing and submitting the form below. If you are looking for a specif part number, please include it with your message.